Picture 1. Group picture of delegates of 3rd Scaly-sided Merganser Task Force Workshop. 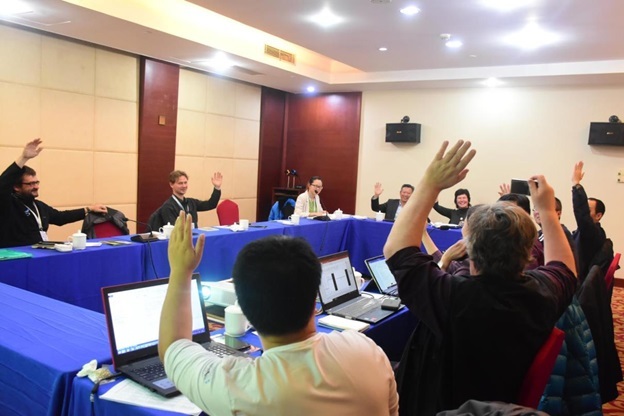 Sixteen delegates from EAAFP Secretariat, People’s Republic of China, Republic of Korea, Russian Federation were attending the 3rd Workshop with eleven Task Force members among them. New member from Russia, Stepan Kirillin, Director of Anyuiskiy National Park in Khabarovsk, was nominated. The workshop provided up-date to the list of Task Force members and consultants. Development of National Action Plans/Strategies for each of four key states. Coordinated surveys for the world population within entire breeding and wintering range. Information about Scaly-sided merganser TF Small Grant program. National Action Plan will be adapted in China in close future. Delegates indicated the need for support from the Government of the Republic of Korea to adapt similar Plan for this state. Nial Moores, Birds Korea, indicated interest from the Governments of the DPR Korea in consultations regarding National Action Plan, however there was no discussion on this issue in the absence of representative of this state. There was a need for the small funding support for developing of National Strategy in Russia. Delegates agreed on coordinated surveys for the world population within entire breeding and wintering range to take place in 2019-2021. 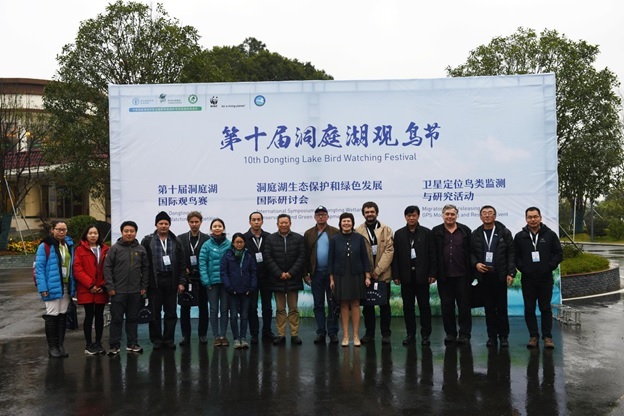 First surveys started right after TF Workshop in January 2019 (1) in China, as a continuous initiative of Beijing Forestry University (now Center for East Asian-Australasian Flyway Studies – CEAAFS) and China Birdwatch Association; and (2) in DPR Korea as a joint initiative of Birds Korea, Hanns Seidel Foundation, CEAAFS and Bastak SNR. Spring surveys in Russia will receive financial support from BFU/CEAAFS. Delegates voted for prohibition of back-pack harness tracking devices on Scaly-sided merganser, because the devices of this type are known to be sources of mortality in diving ducks. Picture 2. Vote to prohibit back-pack attached tracking devices on Scaly-sided merganser.